The Catlins largest Fur Seal Colony - Guaranteed sightings! Along the way you’ll spot wildlife that call this place home; fur seal, sea lion, albatross, cormorant, and penguin. You’ll hear interesting snippets of local history as well as view some amazing scenery. The long trail sets a leisurely course for the Nuggets where we search out seals and sea birds as we make our way along the cliff edge. At the “Fish Bowl” we watch the steady activity of the colony whilst looking up at the envious visitors high above at the Nugget Point Lighthouse. Do I have to be fit or have kayak abilities? This is a leisurely tour. Whilst the ability to swim is required, our kayaks are highly stable and suitable for first time paddlers. We use double kayaks so the work load is halved! You do not have to be of a high fitness level take part in the tour. Please note - Tour departs from Kaka Point on the Catlins Coast - approx 1 hour drive south of Dunedin, 2.5 hours east of Queenstown. If you are not staying in the area you will need to make your own way to the departure location. Due to the nature of operating in a wilderness area, Catlins Kayak and Adventure Ltd reserves the right to cancel any trip. Should this occur, a full refund will apply if you are unable to reschedule. Cancellation by client: In the event that you should need to cancel please make contact with us as soon as possible. Refunds will not be given within 48 hours of your tour departure time. Travel Insurance: We advise all participants to consider arranging appropriate travel insurance. 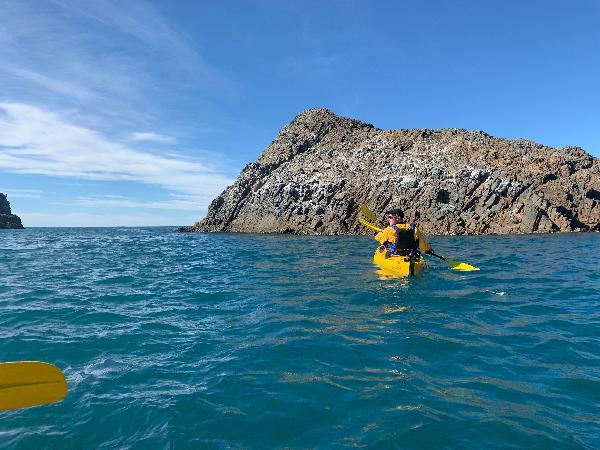 On our guided tours, Catlins Kayak and Adventure is responsible for all company equipment within the limits of wear and tear or unforeseen loss. Under all circumstances the client is solely responsible for their personal equipment. The day we went is kind of cloudy. But the couch provide plenty of information and also take care of use very much. We kayak through the nugget point which is the experience that hard to have if you didnt kayak here. Overall, its a very nice tour and all the equipments been provided well. Nothing to worry! We had heaps of fun sea kayaking. The area is lovely and the kayak was new and easy to use. 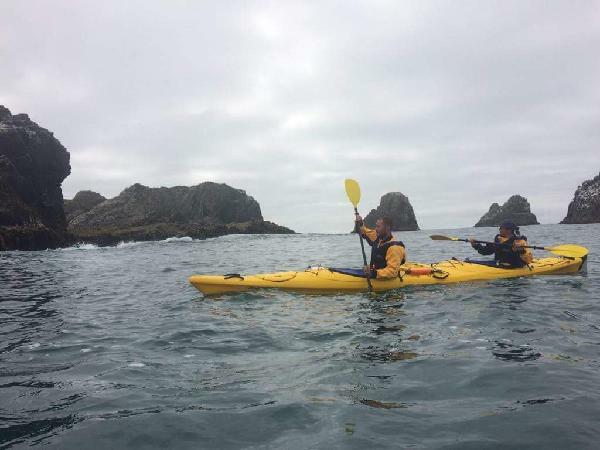 We spent two hours out out on the water and saw seals and sea birds relaxing on large rock formations out at sea. Our guide was knowledgable about the local area and the trip was both structures and relaxed. He also look some pictures for ya which was very kind. It was my first time kayaking. The instructor was very helpful and accomodating. Overall a good experience. I had a wonderful kayak tour with Jared who was guiding. We saw albatros, little pinguins, seals and other birds. Thanks Jared for the great experience! We had the best time! Our guide was excellent and very knowledgeable. We saw a lot of wild life. Would highly recommend! 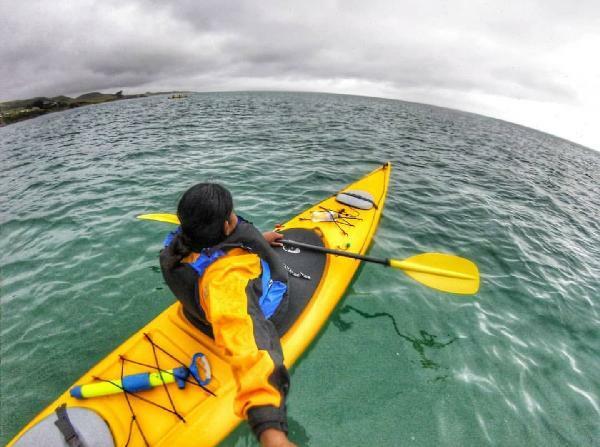 Your message has been sent to Nugget Point Sea Kayaking and Seal Tour - (Long Trail) Kaka Point, Catlins. You should hear from them shortly. 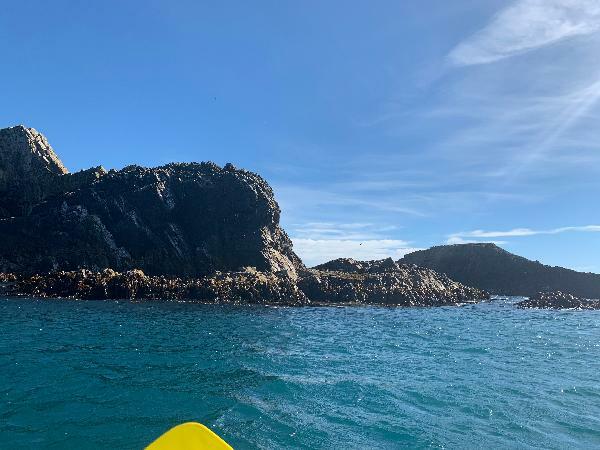 Please note: all responses will come directly from Nugget Point Sea Kayaking and Seal Tour - (Long Trail) Kaka Point, Catlins, and not the team at Bookme.